The worlds of fashion and art collide with two exhibitions this year dedicated to the ways in which both disciplines have represented the human body in radical new forms. First, Burberry presented a collection inspired by Henry Moore’s work and creative process, along with some 40 of his sculptures, to the public at the second outing of its Makers House exhibition in London’s Soho in February. 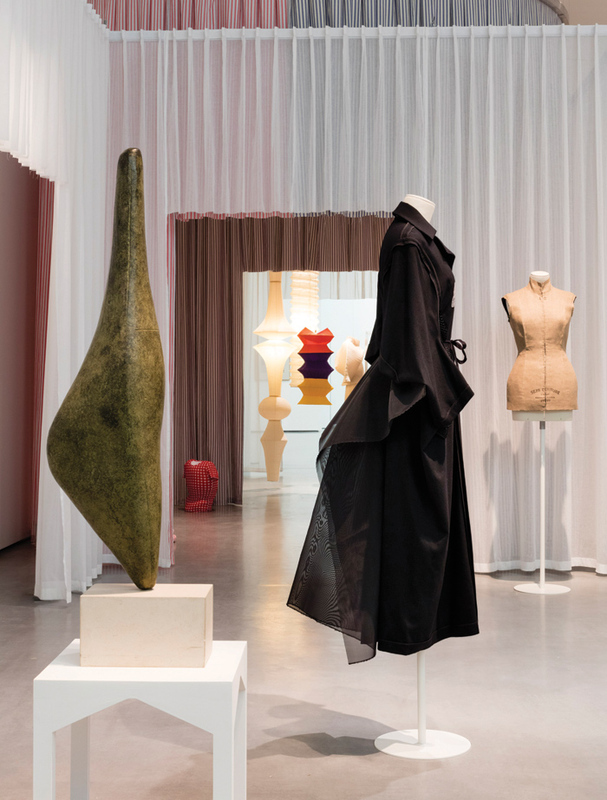 Now The Hepworth Wakefield, the largest purpose-built exhibition space outside London, is enticing visitors with the lure of one of fashion’s biggest names of the moment. Both shows set out to portray the work of these two giants of British sculpture in a different light and attract a new, younger audience to discover them afresh. 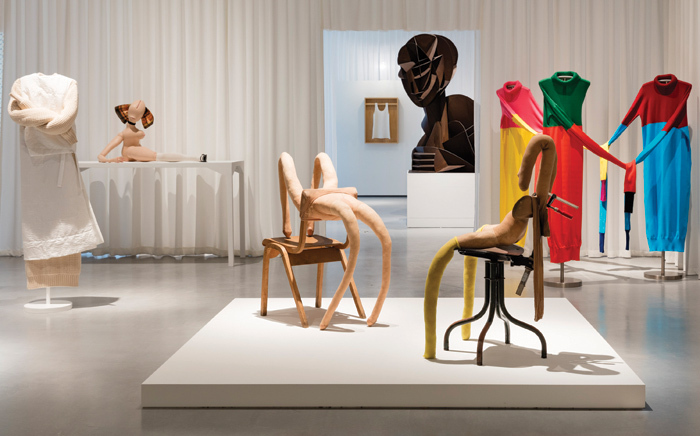 Looking for new ways to tell the stories of its vast collection, The Hepworth Wakefield gave forward-thinking, Northern Ireland-born fashion designer JW Anderson free rein to delve into its archive of more than 5,000 objects and to respond through his own creative lens. The resulting exhibition is the first in a new series of shows for the gallery, curated by figures from creative fields outside the art world — from fashion but also music, film and literature. It spans a century of reimagining the human form, with more than 100 works taken from both the Hepworth collection as well as Anderson’s own extensive archive and private collections, drawing parallels between clothing, furniture design, ceramics and sculpture. Anderson’s starting point was the early, loosely figurative sculptures of Hepworth and Moore from the Twenties and Thirties, which simplified and abstracted body parts, carving holes right through them and moulding undulating lumps and bumps to draw analogies between the human figure 1 and landscape. ‘How rebellious that must have been and how unusual to the eye in that period,’ says Anderson of what he terms ‘disobedient bodies’. The exhibition opens with Moore’s rich, wooden Reclining Figure (1936) in a state of repose, its jaunty angles reflecting the exaggerated form of Jean Paul Gaultier’s Cone dress (1983/4), laid horizontally on a white table in the next room. Both are about inventing a completely new form, one with projecting limbs and hollows, the other with padded cone breasts. 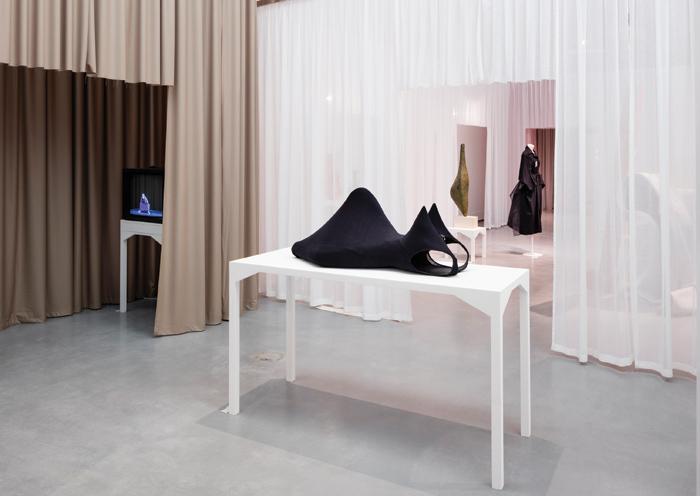 The exhibition unfolds in this vein, set across a series of small rooms that have been draped and clothed in JW Anderson fabric by exhibition designer 6a architects. Curtains soften the sharp edges of David Chipperfield’s gallery spaces to give the illusion that these closely gathered bodies are in dialogue with one another, like ‘an intimate social gathering in someone’s home’, says 6a. The bulbous, biomorphic terracotta ceramics (1990 to 2014/15) by Kenyanborn British potter Magdalene Odundo speak of the curved works by Hepworth and Jean Arp, while elsewhere Louise Bourgeois’ Untitled (1998) fabric and wire-frame female torso suggests a form of armour that draws comparisons to Rick Owens’ lumpy composition of tightly bound, down jackets (A/W 2017). Anderson’s own work for his label plays with ideas of gender and identity with unisex designs, ranging from frilly, ruffled shorts for his menswear collection (A/W 2013/14) to sheer floral shirts (S/S 2013). 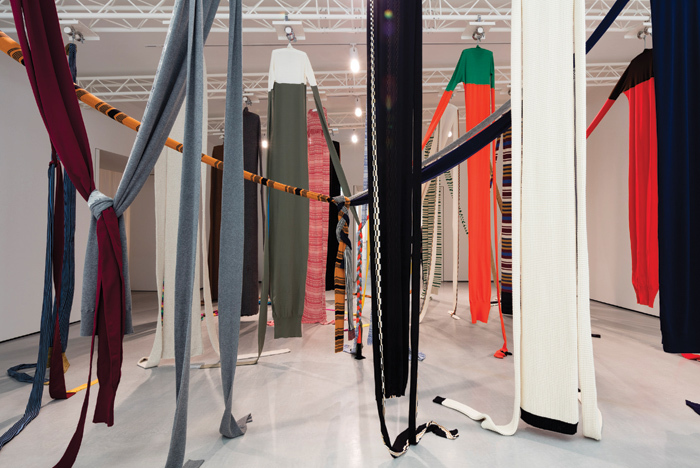 At the centre of the exhibition space is a room of stretched, elongated jumpers, forming a forest that visitors can climb into and wear. Before concerns over conservation, Hepworth originally envisioned touch as an integral part of the experience of her sculptures. As a nod to this Anderson presents a series of photographs by fashion photographer Jamie Hawkesworth of 120 local school children wearing the exhibition’s couture clothes. ‘It’s this idea that garments fundamentally come to life by you interacting with them,’ says Anderson.